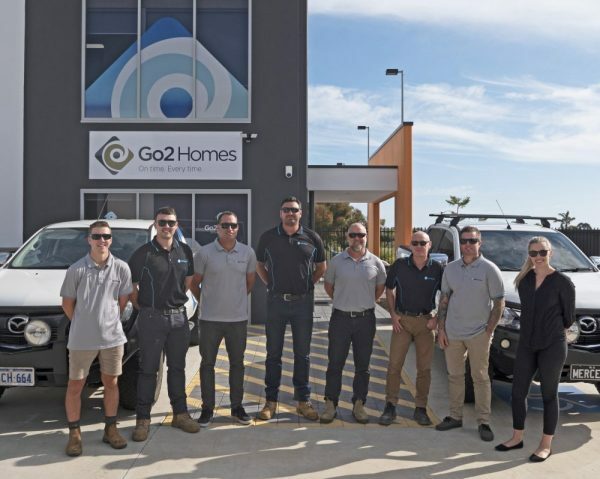 Go2 Homes are a Perth Home Renovation and Extension Builder like no other! We pride ourselves on our highly experienced, qualified and dedicated team, who are committed to delivering unparalleled, quality workmanship and service to all our clients. Our team includes five Registered Builders so you know you are dealing directly with an experienced builder. We work with you to combine your vision and ideas with our skills and expertise to turn your dreams into reality. You’re in safe hands with Go2 Homes. We specialise in Home Extensions, Renovations and Custom Built Homes. With five Registered Builders in WA, you can rest assured you home will be renovated to the highest standard. Click the boxes below to see more of what we do. Creativity thrives when people work together. We are constantly discussing and collaborating to maximise shared knowledge and ideas. Deal with the Builder. You deal with an experienced Registered Builder, every step of the way. "Thank you from the bottom of our hearts. I truly feel we only achieved the outcome we did because of your attention to detail and your expertise. We were very fortunate that we crossed paths. Tony's professionalism is outstanding. He is an extremely pleasant and friendly person to communicate with. Thank you Tony!" We provide 24/7 online access to your project via a personalised portal, superior quality and the added bonus of our guarantee to finish on time, every time.